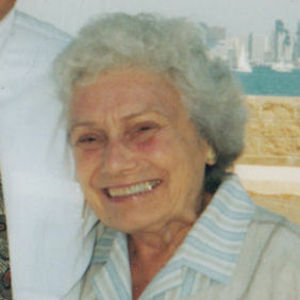 Elizabeth “Beth” Pattrick Mackenzie, a native of Kansas City, Missouri, has died at age 86 in Pasadena, California. A Southern California resident since 1941, she was born in 1928 to parents John H. Pattrick and Elizabeth R. Pattrick, both of Missouri. She resided in Glendale with parents and younger brother Robert, and is a graduate of Hoover High School, Pepperdine University, where she earned her Teaching Credential, University of Southern California, where she earned her MFA in Film/Television Production, and California State University Northridge where she earned another advanced degree in Cinematic Arts. Beth achieved successful careers in both teaching and then in television production. Her media career included years of travel programming with “Global Zobel”, then multiple documentaries, one of which won a coveted Emmy award. She then held the position of Producer at NBC of “The Sunday Show”. This 17 year position included public affairs programming as well as comparative religious programming. Noteworthy programs included audiences with numerous global, spiritual leaders, including the Pope and the Dalai Lama. She is best remembered for her great sense of humor, capacity to see beyond the superficial, her ongoing support of environmental, social justice and humanitarian causes. She was a mentor to many and a friend to a chosen few, offering depth of understanding, compassion, and loyalty, often walking along side as a companion during difficult times. Through her work, her own spiritual practices grew to reflect a contemplative approach in both Christian and Buddhist traditions; she was an avid student and traveled to study under great masters of each discipline.